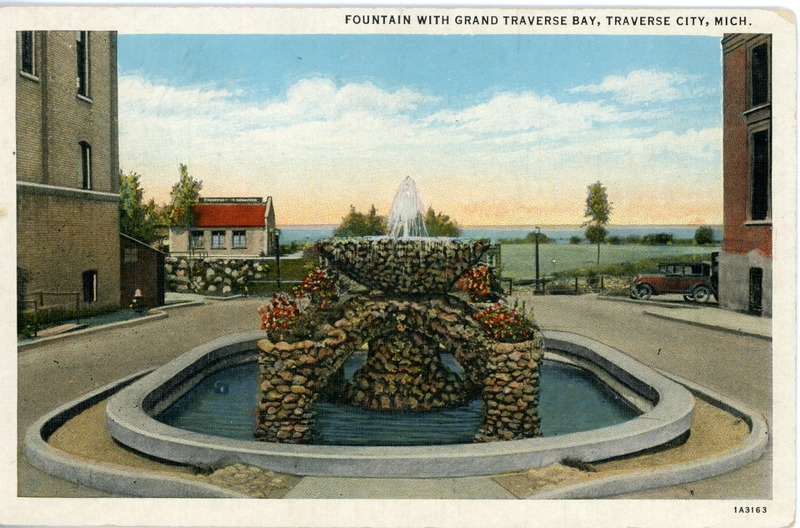 Colored postcard image of a stone fountain in Traverse City. In the background is Grand Traverse Bay and the Traverse City Aquarium, on the Clinch Park Zoo property. Curt Tiech American Art Colored, “"Fountain with Grand Traverse Bay," ca. 1935,” TADL Local History Collection, accessed April 21, 2019, https://localhistory.tadl.org/items/show/1970.